Do You Have Need Of Canadian French Translation Services? Canadian French translation services are available for a fair and economical cost. Translation work itself is a carefully crafted process which requires a mastery of at least two languages (the original and the one to which it is being translated). Canadian French is different from Parisian French because it not only has different idioms, but because Quebec and other Canadian provinces have been self-sufficient for centuries they have developed their own dialect. Therefore, it is not sufficient to simply utilize Parisian French translation for Canadian French translation. No matter what subject or topic you require, our team provides the best, most accurate translations and excellent skilled proofreaders to guarantee that the translation which you receive is the best it can be. We have built our reputation on the quality of our work. If you require a specialized translator we provide these as well. Our translators are trained in legal, military, social, scientific, and medical terminology to provide you the best and most accurate Canadian French translations. In Canada, approximately 30% are French-speaking. Of those, over six-million live in the province of Quebec alone. Many Quebecois speak only Canadian French which opens up an entire region of millions of people in all fields who can respond to you, your products and interests when having access to proper Canadian French translations. If you are not taking advantage of this opportunity you are losing out on a very large market, and a large base of potential interest in the services and products you provide. 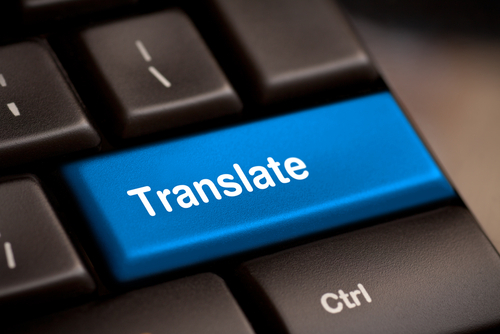 Why not take advantage of our expert and economically priced translation service today? Our work is guaranteed and returned to you quickly. We provide the best in Canadian French translation services. Please contact us for more information and our pricing plans.